How quickly will the Franchise Development Manager (FDM) get back to me and how quickly can we schedule some time to talk? Your interest is important to us. A Franchise Development Manager (FDM) will respond to your inquiry as quickly as possible and will work with you to find a good time to connect. They often respond within a few hours and can usually schedule a call within a few days. How long will the first call be? The initial call’s duration will vary from person to person but typically will last just a little over an hour. If necessary, a follow up call can be scheduled. For the Initial Call, typically your FDM is the only person on the call. You are welcome to have your business partners or attorney join if you wish. • What does your store, if you currently have one, look like today? • The difference between the franchise opportunity in Canada vs. the US vs. the rest of the world. Legally we cannot discuss projected sales, product costs, profit margins & rebates. Later, as we progress through the franchise process, we will provide you with a list of current franchisees. You may reach out to them and ask any questions you may have. As the potential franchisee, what can I do to prepare for this call? What are some commonly asked questions? Relax. This initial conversation is somewhat informal and 100% commitment-free. It is designed for us to get to know each other. All you need to do reach out to us and we’ll take it from there. 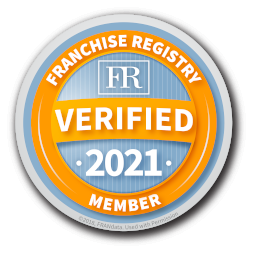 You may wish to take a little time to familiarize yourself with this website, visit a local store (compare us to your local mom & pop stores) and think a little bit about what you might want to achieve as a franchisee. What if I don’t want a phone call and want to meet in person instead? No problem – we can work with you. Just reach out and we’ll contact you to schedule an in-person meeting. What happens after the Initial Call? Once we've addressed your initial questions, we'll move on to the Discovery Day Meeting where we will explore the program’s finer details. After this meeting, you will receive the Franchise Disclosure Document (FDD). Ultimately, you drive the pace in which we proceed. It’s more important that you are comfortable with the information you receive than we move quickly. When you are ready to proceed, reach out to the Franchise Development Manager in your area. What did we miss? We want to hear from you! Email franchise@circlek.com with any other questions you might have about the initial call. In the meantime keep an eye our for our next article where we’ll cover the Discovery Day Meeting and the Franchise Disclosure Document (FDD).